With SPS Commerce Fulfillment, you’ll have an entire team of trusted advisors ready to help you gain more from your EDI and achieve 100% compliance. Work for SPS Commerce Fulfillment? "BEST EDI TOOL I HAVE USED YET"
Being able to perform shipping functions directly from my desk top through shipping integration. It has made shipping to my biggest drop shipment customer quick, convenient, and easy. The only part about Fulfillment that I am not always happy with is something that Fulfillment does not control, that is when the internet goes down and I can't access Fulfillment. Otherwise, I am completely happy with the product. I have used previous SPS products as well as products from other providers, and Fulfillment is my favorite product in over 6 years of expereince. With Fulfillment I can easily communicate order changes with my customers, and I always have access to a "paper trail" through Fulfillment when I need to do so. SPS works with a variety of trading partners which makes set up pretty simple and streamlined. They have team members to walk you through the steps as much as they can through the process and the support team is very quick about getting back to you. when filling out the fields on any of the documents there is a green ? that is supposed to give you tips on what to enter in the field. I've found that sometimes, the tips only include the parameters of the field as EDI data not necessarily what information you need to fill it out. Although, I have seen improvement here so keep it up! If using a third party system that will be integrated with SPS, be sure to have someone fully dedicated to the testing process, if it isn't the full focus of an employee or team it takes much longer. Ease of connecting to customers, being able to process orders electronically is very helpful. The only downside is the process of integration. The time it takes and the effort all parties must put in for the cost, is something to consider. Our company doesn't have an in-house IT dept to help us with testing EDI integration, so it causes a lot of delay with getting our system connected so we can only use one system for all customers. "SPS Commerce is extremely easy, efficient and the team support is great!" I love that I can create advanced rules to help tailor each trading partner's documents to better suit their and my EDI needs. That makes all the difference! Love the preferences. Also the ability to create multiple documents is such a time saver since I do over 1,000 documents a month. I also love the dashboard. I can use it as a checks and balances to find documents that haven't been done. This is by far the best portal I've ever been on. We have customers that don't send pricing, which can be very time consuming during invoicing- now with the help of Erin Hanson and others that problem is now solved! Also this portal is so much more capable and efficient in terms of sending many documents- ie quick form, mass entry. We don't need to hire another person just for EDI now! What Electronic Data Interchange (EDI) solution do you use? I like how the training goes through step by step on how to use the system, it makes it extremely easy to use. The system is very well made and creates an easy work atmosphere for me and my employees. I genuinely think SPS commerce is one of the better run systems I have yet to work with. It is very straight to the point and easy to maneuver. I never have issues with it crashing or freezing up. Great system. The confusion I had was with the ASN's and how they were to be processed, but that was my lack of knowledge not a system error. I did not understand that the GS1 was not a shipping label for my warehouse to ship, rather a label for whomever is receiving it to be able to scan what is and should be inside of the box. I also did not understand that each shipment was to have the packing slip as well as the GS1, all of these I have fixed and completed now moving forward. Not a huge fan of inputting items in that excel format, though. One of the best EDI systems that I have worked with. It makes it easy to complete all documents my customer needs in a timely and easy fashion. It is beneficial for me to see step by step each document I need to complete per purchase order and let's me know when I am done or if I have any errors in a document. "If there's ever an issue, I don't have to jump through hoops to get assistance from Support!" I enjoy having ease of access and the ability to understand how to navigate the website. I also enjoy the customer service experiences that I have had within the past month. I was able to create a new account without a hassle. There really isn't anything to dislike about SPS. The customer service aspect is wonderful! Everyone is extremely patient with me when I have questions. I would like to have the ability to change contact information without having to create a new account. I'vre recently done this, and now, I can't search for orders that came through SPS before I had created my account. It is an inconvenience when I try to find an old order that was submitted through SPS. I now have to look through my files in order to access the original EDI document. If there is a new account created within the same company, I believe the information should be transferred as well. Ask around for reviews of any company that you're seeking to partner with. SPS is an awesome partner! We are working on creating pricing tables to help with a new partnership for integration. SPS has "hung in there" with us through the transitions. SPS is also accessible from anywhere and is not just specifically accessed through an intranet environment. This will help when at an offsite meeting and documentation is needed from previous orders sent through SPS. The website interface is modern, very intuitive and easy to use compared to other EDI programs I've used in the past. The website appearance feels fresh, fun and easy to use. Occasionally the account executives sometimes feel overworked and it requires some planning to coordinate a phone call. However, they care deeply that the program works correctly and they are very patient when it comes to teaching the program to users. I have used another company in the past, I have done a lot of research and demo's of EDI programs, and SPS is the most modern, easy to use and intuitive. The support is great and I had no real issues receiving POs, sending my ASN or invoicing my client. I am selling to a large retailer for the first time that requires all transactions be done electronically. SPS is preferred by them, and for that reason I chose SPS. The transition to EDI was seamless - every hurdle was easily navigated through the easy interface and the dedication of my account executive. "SPS Commerce - THE EDI Solution"
1. Prompt technical support via the web chat OR telephone. 2. Dedicated resource is made available when on-boarding a new trading partner. 3. The technical support team is very clear and concise with their answers and follow up. 4. The shipping label printing option is seamless with the ASN process. There is nothing that I officially dislike. The SPS web portal is certainly different than our previous VAN and that took a bit of getting used too. But once we used it several times we got past the new interface. SPS Commerce offers the best balance between web and integrated fulfillment at a fair price that includes technical support that is actually useful. We can bring our trading partners live very quickly utilizing the web EDI portal. Then we can take the time to complete the mapping of the trading partner documents in our ERP and then migrate the trading partner from the web portal to the integrated solution. "Great customer service, user friendly website"
The entire workflow is laid out for easy viewing, and all information can be easily obtained. The system walks you through the process from start to finish and even has the option to check your work. There have been a couple of time where I was unsure how to proceed with a process and their easy online chat option makes it simple to get in touch with a human. The check for errors option is great as well, because there is the occasional time where we miss something! Two thumbs up! SPS Commerce Fulfillments allows me to easily track and manage all open accounts. I came into this position when this system was already in use at our company, and with little to no training found this very easy to jump right into! "Avoid: Quickbooks not a full "integration" , slow customer service, multiple portals for customers"
Not much after two months of working with the implementation team. 1. They claim a quickbooks online integration. While there are parts that have been integrated, there are several business cases that were not coded into the connector. For example, SPS CAN NOT integrate Invoice which have 'bundled' Product/Services inside of Quickbooks (based on Items/Invoice API tables). Really? Yes, I'm not joking. I coded a custom Python script in 4 days to push invoices with 'bundled' ("Group Line Details" in QBs API) products into QBs, why can't their developers? 2. Customer service, "implementation specialists" for integrations are slow and unresponsive. As a customer that is spending $$$ a month for a product, and the implementation person only helps out one day a week, that's poor service IMO. I even called on 6/21, spoke to Ryan, a Quickbooks specialist regarding some issues....his recommendation for a particular issue was to manually put in the orders. Wait what? The product is supposed to do that for us, and your recommendation is to go back to how we were previously doing it? Lil Dicky says it best......"Ohhh, don't double charge me for it!" However, I was able to get one of my custom requests implemented but the other 4 were just ignored. 4. No python API? Its 2018, everyone and their mom knows some python. If you are looking for a quickbooks integration, avoid this product until they build in all the different use cases into the product. Was trying to automate the B2B PO intake and push to fulfillment center + Quickbooks. Didn't live up to expectations. No real benefits realized. My custom python script provide more flexibility and automation that SPS. I am new to the EDI system and having been put in a position where I wasn't given much info about EDI support and training helped make everything very clear. I have only had 2 issues with invoices and the support team was very helpful and responsive within minutes of sending a message. The 2 team members that helped me was Colton and Van - They both were able to find solutions to my problems within minutes thanks guys! The benefits for using SPS commerce fulfillment is having all my documents in one place - especially when a partner places an order through SPS commerce - So nice to be able to click on one source document and have everything there! "Understanding and Using SPS Daily"
Being able to have a central location on all the customers needs is very helpful, all the information that the customer needs as well as what we need can be found. We can review the information from the time it was sent to us, to the time is was invoiced and shipped. The customer has instant notifications when we update their information. In the beginning, the system is very confusing. We struggled to understand what everything meant and how the system itself worked. But overtime we grew to understand the system more and have been able to use the system with ease. Training new people to use the system can be challenging, but we wrote our own process on how this system functions. We have benefit from the system because we are able to keep eyes on all our customers needs, we can see what orders are being sent, when items are still needing to ship then we can go back and review all invoices and shipment information. I like the fact that once you print your PO it stays in the system unlike the portal we were using. You can always go back and look at everything you have done and reprint. This is very helpful to us. The system has too may things you have to duplicate in each stage like Acknowlede, ASN and Invoice , like changing price you have to do it in the Acknowlege and the ASN again. This system takes way more time than we used to on each PO. If you have a question you can use the chat function however it says 20 min or less which is untrue, it takes upwards of hours. I have seen very few benefits to this program. We get more PO's which is not a bad thing other than we ship once a week so they could consolidate the PO's since we have to pay to do Ack, ASN and Invoices,. So far I have seen no benefits to changing over to this system. There are some capabilities in Fulfillment that can help to address many of the inefficiencies that you mention. Would you be amenable to a call from a customer success manager to personally coach you on a few defaults and settings that would help to save you time? (No cost, of course). If so, please reach out to Caitlin at cadaley@spscommerce.com, she is expecting your email and will help to schedule this call. The website is very user-friendly for all experience levels. The customer service is great also, for example, the quick entry button was down and when I had a conversation with Bailie one of the operators, she notified me that it was getting fixed and did a follow up the next day after it was fixed to let me know that the quick entry button issue was fixed. I dislike the fact that there are only very few operators available online. In my opinion, it is easier to work with an operator online since its at the bottom right-hand side of the screen, instead of phoning in. When phoning in it seems like there are more operators there. Before our company had numerous problems receiving correct EDI information. We tried using multiple companies and the information was never received correct or never sent the correct way. Since our time with SPS we have been able to have one on one conversations with operators who are knowledgeable about EDI and the Information has been sent and received correctly. The work flow display is the best part of SPS Commerce. You can easily spot where each PO is in the fulfillment process and access all forms throughout the process. I'm not fond of the transaction screen. It showcases every single transaction that has been submitted via SPS Commerce, beginning with the most recent. It makes it difficult to scroll for the PO I'm searching for, since I have to get through a number of other transactions that may have nothing to do with the retailer/ PO. However, there is a search function which makes it a bit easier to filter out what's needed. Also, we have a CMS/ order entry system that doesn't automatically merge drop ship orders to consumers, so this makes working with SPS Commerce a lengthy process for us. Easy to track the fulfillment process as it takes place. Time stamps and forms are very detailed, so every electronic exchange has plenty of data and up-to-date accuracy. "Smooth Implementation and Great Support Team"
By far, the support team is the best that I've worked with. All inquiries are resolved quickly, and often without much needed on my end other than information. When setting up a new account, every account manager that I've worked with has been friendly, efficient, and knowledgable. I typically just provide them with some basic information, and then they handle the rest. There isn't a lot to dislike, really. The UI on the landing page could use some work, but it's otherwise sufficient for all intents and purposes. Setting up docuements is a bit of a pain, but well worth the trouble once you've done it. The truth of it is that we haven't completely set everything up, but are working on it. SPS Commerce has assisted us with EDI implementation with Wal Mart, Sam's Club, Best Buy, B&H Photo, BJ's Wholesale, and Fry's Electronics. Setup was extremely easy, and the price we pay is well worth it. We're saving a lot of money by streamlining our EDI process. Prior to SPS, we were doing things manually, which led to lost time and lost documents. Now, everything is organized and easy to fill out/find. We're no longer fumbling around for documentation. Everything is on time and in one place for us to see. "SPS Commerce has helped us comply with customers"
Being compliant with our customers has been the most beneficial. We have also done some automation work with SPS Commerce which has helped a lot. Without automation, using SPS Commerce for customer compliance is an extra step or two in order processing. We often don't use it because we can accomplish the same work in existing workflows. I would ensure that you are replacing workflows or using SPS Commerce to help automate your workflows. Without doing so, you risk adding extra work to your customer service team. Customer compliance is the primary problem we are solving. Automation within SPS Commerce is streamlining parts of the order entry process for participating customers. I like the simplicity of SPS Commerce. SPS Commerce will check for errors and show you the mistakes to fix which cuts down on deductions. Overall, it's easy to use and a great EDI tool. The price - we are required to use EDI services by our trading partners in order to do business, but we are a small company so it is not cost effective for us. Also, you can streamline your documents for quick processing, but only if the trading partner has set it that way. For example, when invoicing, if your trading partner has not set certain fields to be changed, then that field cannot be set for "quick" invoicing which requires completing by full entry. I would like to be able to change those fields to set up auto-fill to make the process quicker on my end. Allows you to be paid quicker and It can reduce the amount of deductions if set up properly. "SPS is a Must have for EDI Customers"
Always making things faster is crucial! If you can save us time, we are more likely to use SPS for more vendors. "A great alternative to using multiple purchase order sites"
I like that it is all in one place, and once you learn how the processes work, it becomes more intuitive if you add a new partner, so you do not have to go learn yet another process. We were never able to get FedEx and UPS integrated for some reason and it took a long time before we were able to get through to someone who would help us close it. And ultimately we paid for months of the FedEx integration that we were not able to use, and were not compensated for it. Another issue is, one of our partners is Walmart.com and it is much easier to process the orders through their site than it is on SPS. It saves us a LOT of time to use there 3-5 step process than the confusing 12-15 step process on SPS, plus having to go to FedEx.com to process and print the label. Ask a lot of questions and make sure the process will work for you before you commit. We want to consolidate all of our selling partners into one place and have a smooth process so our employees don't have to jump to multiple sites and learn multiple processes in order to complete an order. Ultimately saving time and money. Processing the Amazon.com (US) purchase orders works quite well, however it was not possible for me to process Amazon.com (UK) orders. I like that you are able to create your own templates that work best for your needs per customer. I like the ease of use when it comes to access as well as creation of both advanced ship notices as well as invoices. I wish after an asn or invoice has been sent, if you find that there has been an error created that there would be an option to retrieve the document for editing or to send notification of the error along with the corrected version. The benefit that we have found is that we are receiving our payments in a more timely manner. "Simple to use. Great Support." 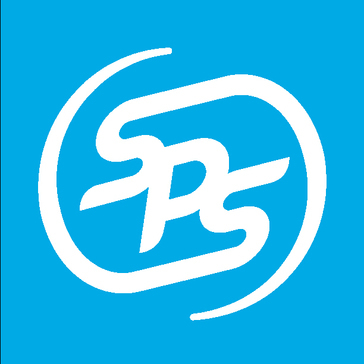 Our team has worked with SPS for years and it has allowed us to grow our business in way that was previously impossible. Would highly recommend SPS Commerce. The support function can take a while, but they always make sure you're taken care of. Make sure you have 1 dedicated representative to learn the system. From there the information can be shared, but one person should kick it off. We did not have EDI capabilities prior to working with SPS, so we now are able to work with a category of customers that previously had been untouchable. Forms are easy to use. Security is adequate. It's relatively simple to pull 850s and upload 810 and 856 entries. Would like to be able to view X12 raw data, and specs for all trading partners on demand. Customer support availability is spotty, especially when we need an account manager. System is down way too often. If you want to use true EDI, look elsewhere. If you're comfortable typing in lots of 850, 810 and 856 documents, you'll be happy with SPS. SPS allowed us to do business with EDI customers when we did not have a true EDI setup. Once you learn the ropes, it's incredible easy to use. The main benefit is being able to quickly set up EDI with vendors. I was able to set it up within about a week. The interface is very easy to use and helpful tips are offered as you go through processes. Error checking is very helpful in making sure you didn't miss any required fields. The training videos feature a cartoon that plays out and aren't very helpful. However, there are other training videos in the advanced section that were fantastic and do a great job of providing step-by-step instructions. Skip the cartoon training videos and just go straight to the advanced videos that go step by step on how to acknowlege, ship, and invoice orders. An incredibly easy tool to implement EDI with vendors that require it. Using something like SPS is a great tool to use in the interim if you plan on implementing EDI directly with vendors. The price is fair as well. polite and straight to the point. I didn't have to guess at what he was referring too and it made things real easy! always use the CHECK FOR ERRORS button! it saves you a lot of time and ensures all necessary information is entered! "SPS is very helpful in resolving issues and answering questions. " The representative are friendly and understanding. They take their time and answer questions and resolve issues that we have. Once you enter something it is nearly impossible to change it. I once mistakenly entered the quantity twice on the add line item and called to ask how to fix it. I was told I had to contact the customer, the customer didn't know what to do, so I call sps back and got a different person who helped me fix it. It helps the ordering process run smoothly. I love SPS Commerce because it simplifies the process of working with our partners. We can process all transactions in one place and easily check the status of the transaction. I do not like processing acknowledgments for orders in SPS. There are too many fields required for some acknowledgments - this is more of a customer thing than an SPS thing. checking the status of invoices - some customers fail to pay invoices and we can always check that they were processed. "Pretty straight forward set-up, their help chat is good for sorting out any questions." I like the templates, makes data entry much quicker. It's a pretty good system, the worst thing I can say is that they make you pay for additional users. Good product. They are being very progressive with improving their systems and making it more stream lines and user friendly. Certain customers use only SPS so if we want to work with them, we have to use SPS. "Great service and support of an even better tool"
Connection with 3PLs, great flow of documents and better use of time. Be more knowledgeable of the companies that use EDI. "Always have a great experience"
I like that when I am having an issue someone is there right away to help me out. The chat feature is great so I don't have to be on the phone waiting for someone to answer. I haven't come across anything that I dislike so far. It provides me with orders that my customer needs to be fulfilled and getting them right out easily. "Very attentive to my needs and always available with easy to understand instructions"
If I'm being brutally honest I don't care for the "per document" pricing that EDI uses. Our orders get to us much quicker and fulfillment happens faster than the old way of doing business with our big box retail customers. There is always a record of everything related to an order if something happens to go wrong. Great platform that is user friendly and easy to use. The customer support is excellent -- fast response, fixes issues (which are rare) quickly, answers questions quickly. Love the on-line chat feature. Have/had fantastic account reps.
Not one single little item, everything is perfect. Their world class customer service and products will not let you down. Getting ASNs auto sent with File Integration. "SPS is the best, easiest and convenient for today's eCommerce order fufillment"
The SPS platform is very easy to understand, navigate and process orders. Inventory - if SPS can somehow organize the item numbers in sequence this would be so helpful. At this point and time, the item numbers are organized by how you enter them. Also, if we can get a csv file of customer info, address, telephone number so we can import into UPS / FedEx - that would be awesome. I would highly recommend SPS Commerce to anyone trying out a eCommerce portal. Whenever we have problems with orders or any kind of issues, SPS is always on top of the issues to resolve in a timely manner. "Not Ready For Fishbowl 2017"
"Excellent way to process order from start to finish"
The accuracy and real time updates that provide information needed to effectively and successfully run the business . Some vendors submit one PO# for multiple store locations which allows more room for error. It depends on the size of the business. If you're just a small start up, SPS is probably not a way to go. But if you're experiencing rapid growth, i would go for SPS. At the moment we're trying to figure out if we should start using the integrated fulfillment because of the growth of our business. Relevant up to date information and seamless process from receiving the order until the end. Every time i have a question or problem, SPS supplies me with all the answers i need. I have never contacted SPS and ended up unsatisfied. I use SPS daily for most of my office work. It is so easy to navigate through the site. There is nothing to dislike about this site. I am a daily user & would recommend SPS Commerce to anyone, any day. SPS support will help you with everything. The site is easy to use but whatever you can't figure out will be broken down for you. Getting a new partner added to our list, which takes a simple email. We are now able to work with large box stores. The PO's have only item numbers and no product descriptions which makes it harder to pull orders and leaves more room for errors. We are able to adverstise to potential big box customers that we are already set with SPS which makes it much easier for them to work with us. "SPS Commerce makes EDI life smooth!" I love the ease of use and the visual vividness of all screens and how user friendly SPS Commerce is! I do not like that people on chat are only available during the east coast hours. It would be much easier to have more flexibility on hours for west coast people! We are solving our PO organization and our ease of invoicing and data base comparison. "New vendor setup - correction to programming"
Ease of certain attributes, vendor specific, Reinhart, Save-A-Lot. Complexity of US Food orders. Austin Bushman has been fabulous in getting code written to correct the missing links in data transmission. But US Foods asks for way TOO much data on an item level. "A convenient EDI Portal for Commerce"
I like the format of the .csv exports for orders. It makes it very easy to process large quantities of orders with ease. Our company serves approximately 14 different vendors all in SPS Commerce. It gives us a relatively uniform format to process and fulfill orders with a very quick turnaround. There aren't enough settings to customize portal. Some of the features available are hidden and take some time to find. I am removing the need to hand enter orders. When invoicing and giving advance ship notices, they can all be done at once. sometimes, I have trouble entering the date. Should be simple enough, but for me, I guess my fingers don;e hit the right button. some of our customers require us to use EDI. SPS has been great in that it has taken all the headaches away. you have made it a simple fill-in the blank solution. There is very minimal work on our end when we have to receive orders or send out invoices. When we submit any tickets for help, it is taking longer than usual to receive help. SPS makes work alot easier! I would recommend it to anyone who processes alot of orders. It is easy to use and anyone can be trained to make use of its tools. It is alot faster to receive and send documents with SPS. Work that typically used to take hours can now be done in a few minutes. We love working with SPS. They are very organized. They are easy reachable and fix problems in a timely manner. The only thing I would change is to see invoices sent via EDI in SPS Fulfillment. SPS solved our EDI transmission problems. We changed from another EDI provider company and we couldn't be happier. "Easy to understand, but alot of steps to be completed"
The SPS program is very easy to understand and go through. Able to access and updated frequently. Can have multiple users in at same time. Many steps to get to final stage. When creating ASN and we have over 1000 boxes per shipment it can be very time consuming. A lot of our boxes may have same part # and Qty would be nice to have a TARE that we could just copy. Instead of re-entering all the boxes quantity. Able to do multiple POs on a single ASN. I can find anything I need by simple searches, which helps make the processing that much easier. I'm not sure this is a dislike, but it would be nice to have each of our clients on a seperate page. There is no maintenance that a customer would need to provide to use the website. All transactions are very clear and easy to use and understand. The benefit to using SPS Commerce Fulfillment is the time and cost savings for each of the transactions. Not to mention the save on paper. I like best about SPS Commerce is that it is very user friendly, there is always chat available to help with any needs as well. The only dislike I have about SPS Commerce is that there can be some errors at time with transmitting orders if there are special characters on a SKU but nothing that customer service cannot help with. Streamlining is much easier with SPS Commerce. Labels and organization have benefited the team with SPS commerce. "SPS Commerce allows us to easily manage the orders of our EDI partners"
I really enjoy the log that is created upon receiving PO changes, creating shipments, and invoicing. Everything that has been done ties back to the document number and is listed in chronological order. Sometimes change orders are not entirely clear on what is changing. I would hope that the comprehensiveness of information displayed on a change order can be improved upon. Streamlining the exchange of documents with our partners and thereby increasing the efficiency of operations overall. "15+ years sing SPS Commerce"
I have always been able to rely on SPS for great service and solutions. Some of the support matters take a little longer than I would expect. The user friendly interface. Anytime I have a question I get a quick and concise answer. Everyone I've dealt with has been very helpful and professional. A little more heads up on changes that or vendors make make to their particular setup. Maybe a tutorial when you have a new customer that may have different requirements. Saves time when informing our customers that their items shipped. Adding new vendors to speed up shipping times. "Multiple Warehouse Shipping Made Easy "
How everything is right in front of you - no searching around. I find the invoice process a bit clunky as it doesnt show you anything has been done other than change the file name. What I like best about SPS is the interface, and how user friendly it is. It is very straight to the point. Also I like the auto populate option to save me time. This is just a general dislike of all EDI,but they usually are expensive. Learning about SPS Commerce Fulfillment? * We monitor all SPS Commerce Fulfillment reviews to prevent fraudulent reviews and keep review quality high. We do not post reviews by company employees or direct competitors. Validated reviews require the user to submit a screenshot of the product containing their user ID, in order to verify a user is an actual user of the product. Hi there! Are you looking to implement a solution like SPS Commerce?